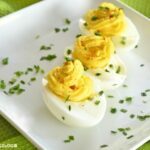 Easiest Deviled Eggs Recipe Ever! Easy, creamy and keto-friendly deviled eggs recipe. Make these ahead of time for quick grab and go snacks! I have always had such a fond love for this easy to make, and simple appetizer idea! Just one dozen eggs can provide you with a quick, and easy appetizer go-to for parties, and outdoor events. Deviled Eggs are cheap, quick, and oh so easy to make! They are especially perfect for anyone on the keto diet because they are loaded with fat & are low in carbs, but have the right amount of protein to help you reach your macros. 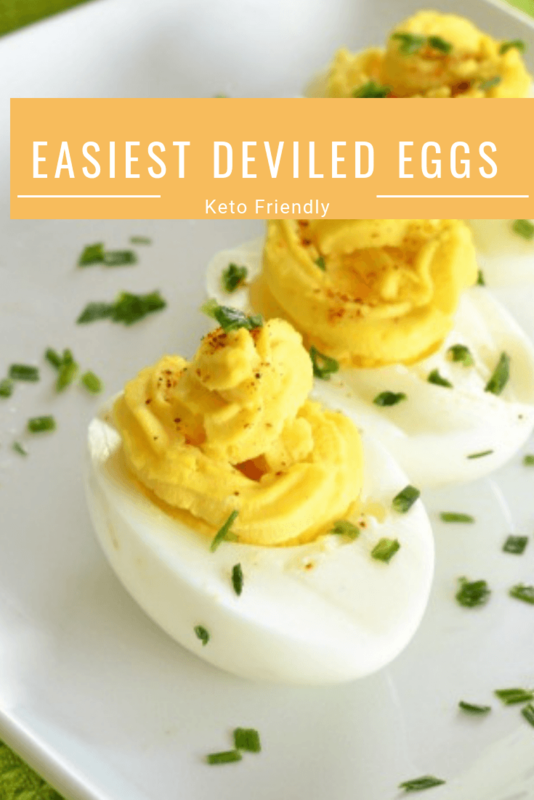 Make these Keto-Friendly Deviled Eggs with the recipe below! We also have printable version if you scroll down. Refrigerate your deviled eggs until you are ready to serve them. The easiest deviled egg recipe on the block! These are keto-friendly and simply delicious to enjoy. Boil eggs for 23 minutes in a large stock pot. Drain hot water, and then run eggs under cold ice water for 2 minutes. Run eggs under cool water to make peeling easy. Use a sharp knife to gently and carefully sliced you egg midway (careful not to break the yolks). Split egg in two the long way, and remove yolks; repeat. Add yolks to a large bowl and mash them with the mayo and mustard. Using a piping bag, pipe the deviled egg filling into each egg half. Garnish with Paprika, and chives.